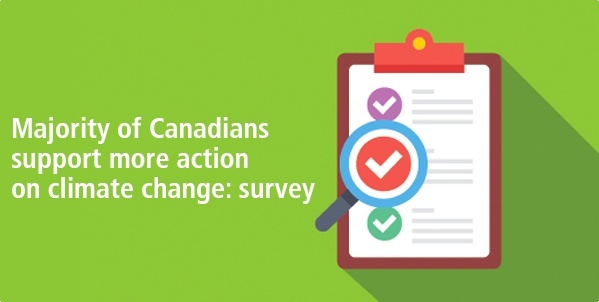 According to a recent poll conducted by Environics Research Group for Bullfrog Power, the majority (57%) of Canadians think the country should be doing more to address climate change. Additionally, 85% of respondents indicated that it is important for individuals, businesses and government all to make stronger commitments to address this issue. Want to see more about the survey results? Click here to read more. In its latest article, Bullfrog Power partner Clean Energy Canada explains how investing in a renewable economy can produce a competitive edge. By investing in new transmission lines and energy storage units for renewable energy projects, Canada can position itself as a provider of smart grid technology and expertise in the global market. Interested in learning more? Read on. What do you give a nation for her 150th birthday? As members of the bullfrogpowered community, we give the gift of green energy. Here's a special anniversary video celebrating why we love Canada. Keep an eye out for future updates from Bullfrog as we celebrate this special year! From April 7 to 9, join us at the Green Living Show in Toronto, with a complimentary ticket courtesy of Bullfrog. Shop for eco-friendly products, drive electric vehicles, take a yoga class, and taste local, organic food by some of Toronto’s top chefs. And don't forget to stop by the Bullfrog Power booth for your chance to win great prizes! To redeem your complimentary ticket, visit this link and enter the code BULLFROGP at the checkout page. But hurry—quantities are limited! The Ottawa Renewable Energy Co-op (OREC) partners with local property owners to develop community-owned green energy projects—and Bullfrog is helping the co-op build community support. OREC's most recent undertaking is a 500 kW solar garden in Alfred, Ontario—to be built in partnership with Keewayin First Nation. Learn more about how you can support the project at OREC.ca. Guardian Dental is a bullfrogpowered, Edmonton-based dental clinic aimed at providing environmentally friendly dental care services. In the words of owner Dr. Katherine Roche, "I believe that working toward greater environmental sustainability supports my patients’ complete health." Guardian Dental ensures the packaging, manufacturing processes, and energy use associated with its purchased materials are weighed for environmental impact. The clinic also chooses recyclable sterilization pouches and cassette wraps. The City of Charlottetown, which bullfrogpowers its City Hall, has launched a new initiative: its Sustainable Business Certification program. Open to all Charlottetown businesses, the program offers environmental site assessments by energy efficiency and water conservation experts. Businesses that pass the certification process are recognized by the city. Fellow bullfrogpowered customer Howatt's Enviro Paints (owner Theresa Howatt pictured above, right) was the most recent business to become certified. Congrats!